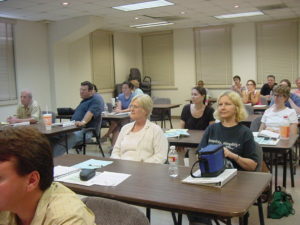 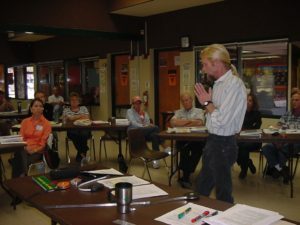 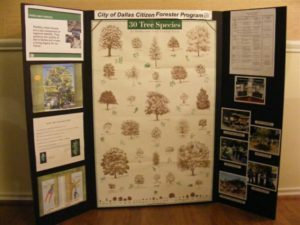 The citizen forester classes include lectures by the Chief Arborist of the city Phil Erwin. 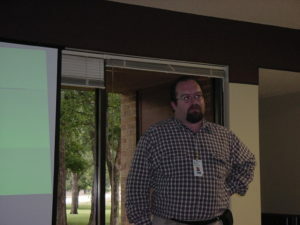 Instruction by Steve Houser owner of Arborilogical Services. 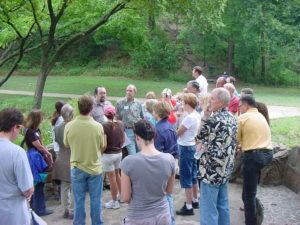 Outdoor lectures in local parks. 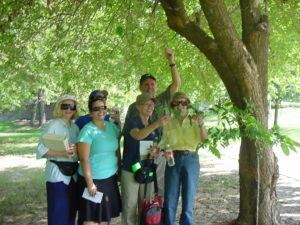 Learning to identify a tree in a local park. 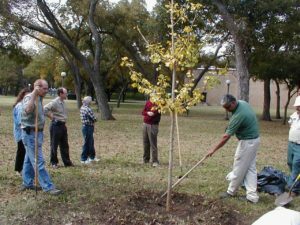 Planting a tree at Reverchon Park.